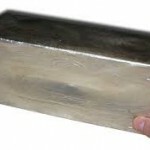 In the world of precious metals, silver is considered the "Poor Man's Gold." Anyone who believes this nonsense will stay away from investing in silver for all the wrong reasons. With the S&P 500 pushing resistance once again at 2,100, perhaps it's time to visit the land of the contrarian trader, for as the saying goes, as the stock market falls, the precious metals markets rise. Wearable technology is getting a turbo boost from silver. You see, sports and technology companies have already developed wristbands, shoe inserts, and smartphone apps that can track your heart rate, distance covered, and several other data points. 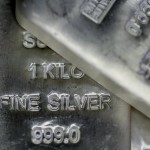 Last week was punishing for silver prices once again, as the silver futures market sent out bearish signals and the white metal fell below its lowest levels on the year. But if you've followed the silver futures markets this year you'd realize these current doldrums are only preceding a much more substantial rally. Silver prices today are trading at their lowest levels on the year, continuing a two-month bear cycle where the white metal has fallen significantly. 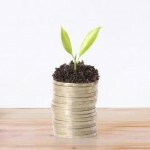 Prices are taking recent cues from the U.S. Dollar Index, as well as the U.S. Federal Reserve. Silver futures activity has also been a headwind for more than a month now. Silver futures activity has been smothering prices, with the white metal trading down seven of the last eight weeks as it nears three-month lows. And not surprisingly, speculators have taken center stage in this protracted bear session, adding to their short positions for the fifth straight week. Silver prices suffered mightily in August, as this Friday is likely to show the white metal down considerably on the month. However, some new developments in the futures markets and the move into the fall months provides favorable trading terms for silver. 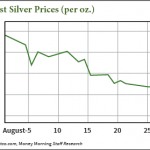 Here’s our silver price forecast for September and the months to come. Silver prices today are beginning to pop, bolstered by safe-haven demand from unsettling news on the Ukrainian-Russian border. If silver closes up today, it will be the first time in over a month that the white metal has traded up three days in a row. Activity in the silver futures market have caused prices to sputter out in August, and the most recent data shows that speculators are cashing in on the white metal's downfall. And while these positions mount, silver is sure to languish. But this bearish speculation will have to end at some point, and a rally is sure to follow. Silver prices are having a tough session, and traders who saw August as a month to rebound from a bearish July are wondering why silver is going down. 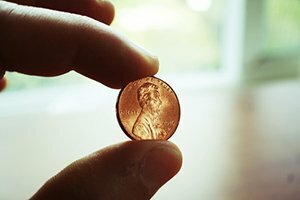 With many investments down close to 5% on the month, and the white metal trading below its level at the start of the year, it's easy to get discouraged. Silver prices this week have been slow and steady, continuing an uneventful August during which the white metal has traded in a narrow range. 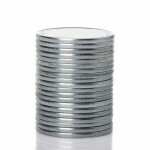 However, while silver is likely to recoup from its recently slow trading in July, it most likely won't see a prolonged rally anytime soon because the big drivers simply aren't there. The much-maligned London silver price fix is out after 117 years, and the new London Bullion Market Association silver price is in. 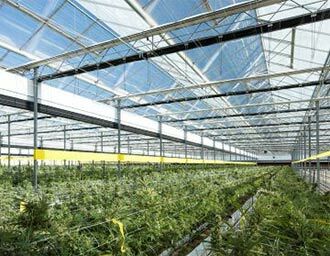 And market observers are hoping that this new procedure for setting the silver price global benchmark will bring some much needed transparency to the process. Silver pricing could definitely stand to gain from more transparency, following a century-old mechanism that involved three banks negotiating prices in secret. 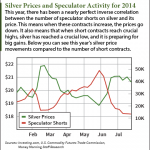 Silver prices have been sensitive to activities in the futures markets, with prices moving almost perfectly opposite to the amount of short contracts speculators hold. This week, the U.S. Commodity Futures Trading Commission released data that shows that silver contracts are mounting coming off weekly lows. 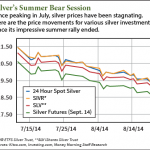 Here’s what that will do to August silver prices, and when to expect bigger advances. Silver's 3% drop in July was to be expected, given it was coming off an unsustainable and unprecedented June rally. But now that the traders have taken their profits and the white metal is moving into a month that has in recent history produced impressive gains for silver, we could be on the cusp of a bull run to $24. Silver prices are likely to end down today, rounding out a month where the white metal has tallied 3% in losses. This is after silver rode a June rally to three-month highs and sustained six weeks of gains. 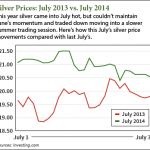 See what caused June's bull run to fizzle out, and why silver began to slide this month.